Heroes vector silhouettes pack. 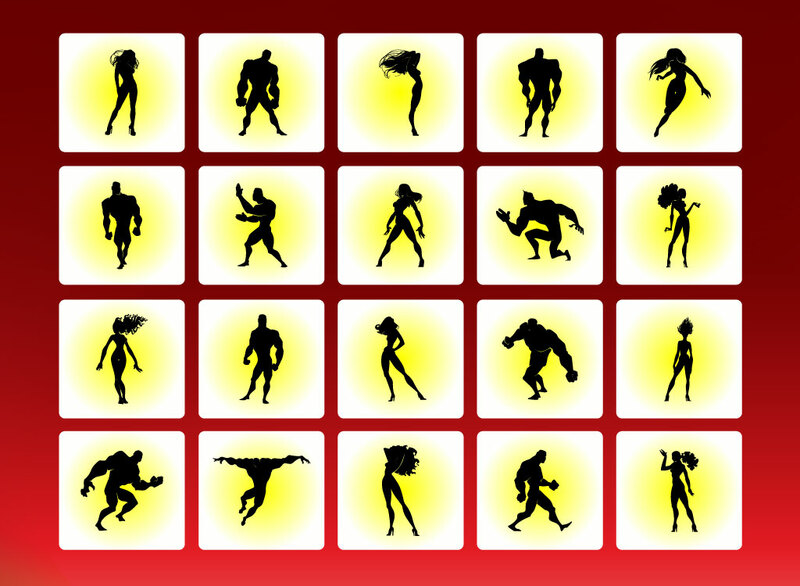 Freebies set of twenty black vector superhero silhouettes set on white rounded squares with a yellow glowing gradient. The hand drawn graphics come with a red gradient background image. The free download will help you create comic logos, movies blogs and cartoon websites or serve as great drawing reference for your personal digital art projects. Tags: Brave, Cartoon, Comic, Flying, Heroes, Jumping, Man, Supermen, Woman.